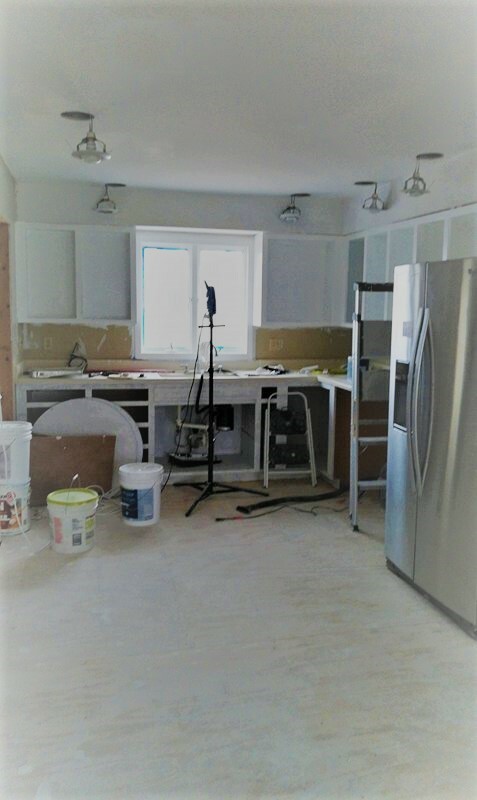 I’ve been living in the midst of a home remodel for a full 6 months now. I wanted to write this blog several months ago and call it HGTV is Full of Liars because I was pretty bitter with how the process was going. In any HGTV show the updating process that takes weeks or months is packaged into a neat little hour. However, it’s not HGTV’s fault how my family’s home is progressing. I’m convinced that home remodeling is a process full of delays. In my experience that’s a general rule. Luckily, I’m in a better place with it now where I feel that I can get my thoughts out and also see my own personal growth in it. My husband and I never move forward without God’s peace so if things go haywire (as they tend to do) we can go back to what steps we took to get there, and what confirmation we received moving forward in it. Buying our house was no exception. So when we purchased our house last year, there were too many signs pointing us to this home. Fast forward to where we are now and I know that this is the house for us because of the clear words God presented and things that we prayed for that He allowed to happen. We bought our home a year ago after a long search with the intent of remodeling it. It has a great floor plan but was in need of some major updates. We bought it with the intent of this being where we would raise our family and putting down roots. We really wanted it to have everything that our family would enjoy. I’ve had periods of being annoyed, upset, bewildered and hopeless. Will we EVER get this house done?! Now I don’t want to sound spoiled. I know that having setbacks with remodeling a home is definitely not the worst thing but it has been doing more to who I am as a person; unearthing uncertainties and growing me up in ways I couldn’t have imaged before this. In all actuality this whole situation can be classified as a first world problem but rough nonetheless. I’m very aware that I’m evolving within the refining fires of life. I know that the Lord is using this situation. Last year I kind of felt like I’d arrived and came into confidence within myself that I hadn’t known before but while living through this experience, I now know that He has more to teach me. 2 Corinthians 3: 18 – So all of us who have had that veil removed can see and reflect the glory of the Lord. And the Lord – who is the Spirit – makes us more and more like him as we are changed into his glorious image. ***This picture is from back in January and we’ve come along a bit further in our kitchen but still have a lot of work ahead of us.